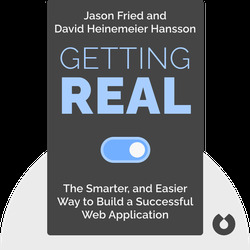 Getting Real (2011) offers a comprehensive breakdown of the challenges facing entrepreneurs in the market for web applications. These blinks are full of hard facts and solid advice about what to do and not to do when starting your new app business. Jason Fried is a co-founder of 37signals, a web development company. 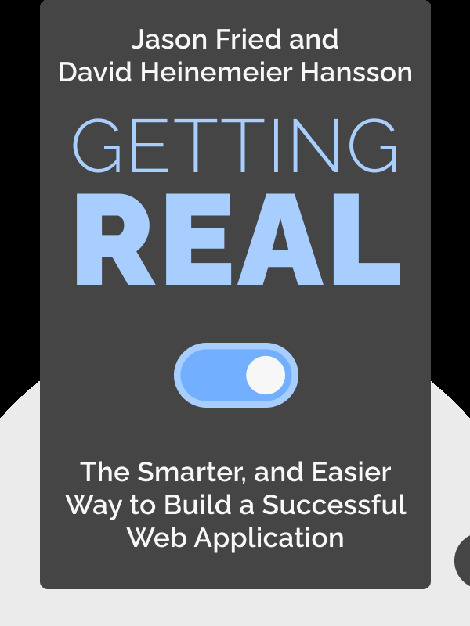 David Heinemeier Hansson is a partner at 37signals and the creator of the Ruby on Rails programming framework.